LEN - www.lankaenews.com | Viswamadu Tamil people weep and wail when army colonel leaves on transfer ! Those wanting evacuation of army dumbfounded ! 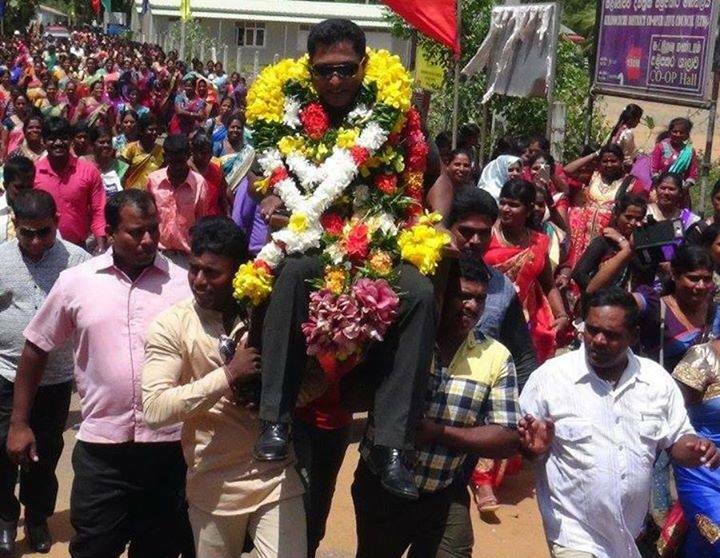 Viswamadu Tamil people weep and wail when army colonel leaves on transfer ! Those wanting evacuation of army dumbfounded ! 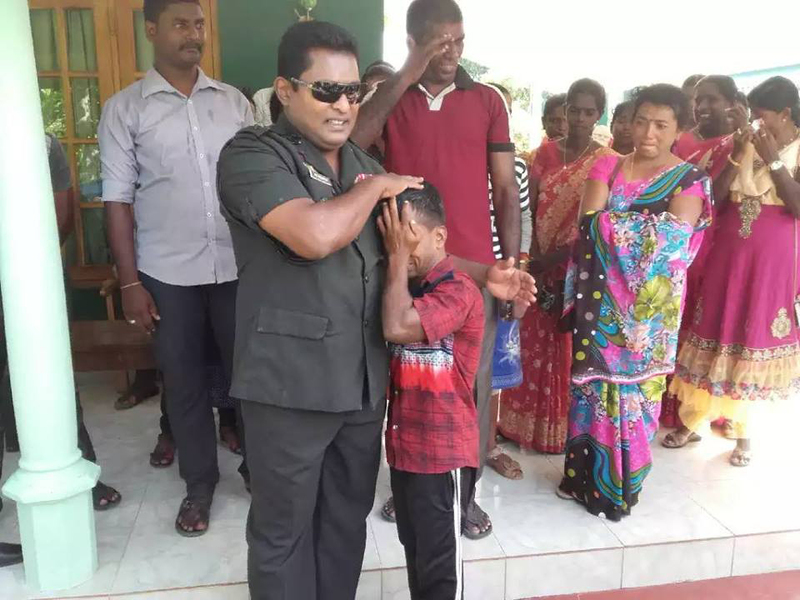 (Lanka e News – 12.June.2018, 9.30PM) Following the transfer order to army colonel Ratnapriya Bandu from Viswamadu , Mulaitivu to Ambepussa, and when he was readying to leave to his new station, the residents of Vishwamadu arrived at his place of work and wept openly before him . 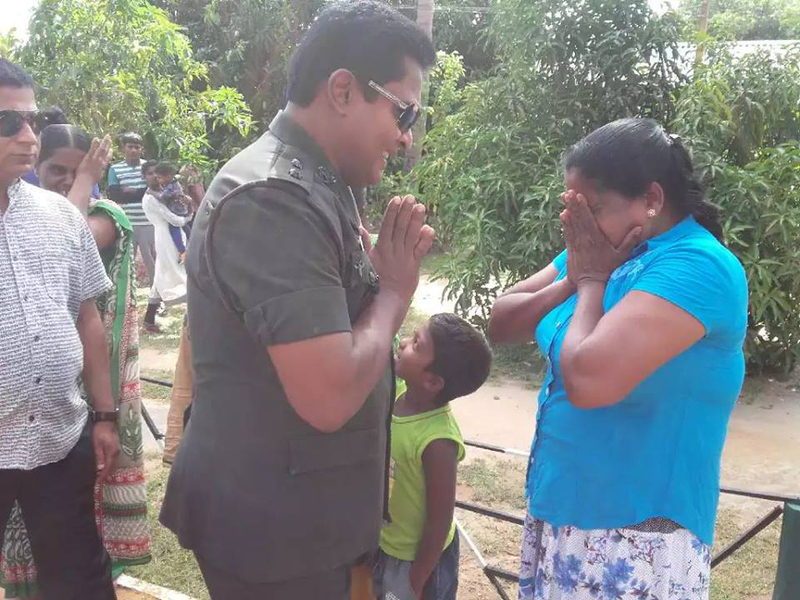 Among those who visited him were groups who were with LTTE organization and had come out from rehabilitation camps , as well as villagers. It was because of the yeoman service Ratnapriya rendered to the people while he was in Viswamadu that inspired the people to personally visit his office and display their emotions. 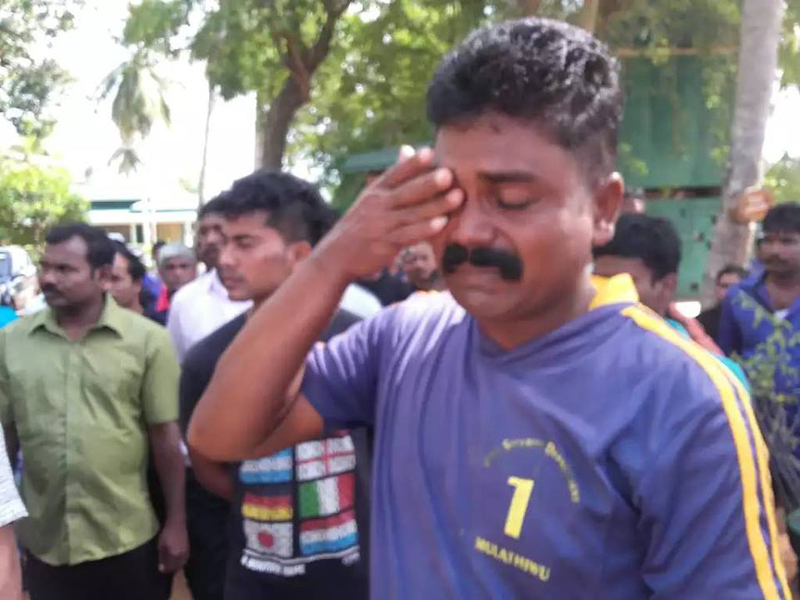 While the chief minister of northern province is insisting on the evacuation of the army from the north , the residents of Vishwamadu , Mulaitivu on the other hand are weeping when an army officer is leaving their area . This is because they cannot forget how they benefited from the yeoman services of the forces which helped them immensely. 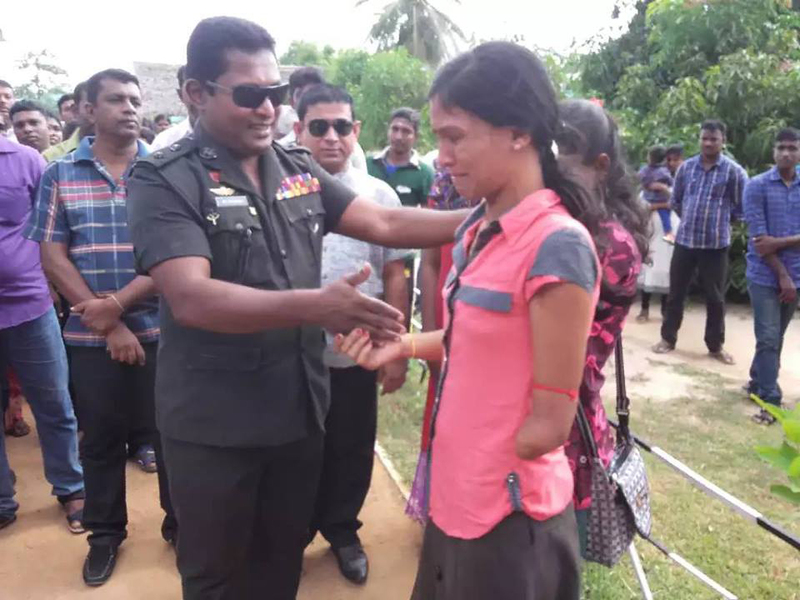 Although the ordinary people are not leveling charges against the army that it is the same army which fought the war in Mullaitivu , the politicians of the north have gone even as far as Geneva highlighting and leveling those charges. In any event when Colonel Ratnapriya was bidding farewell , a large number of people were seen weeping and wailing . Need there be better testimony than this in proof of reconciliation ?